The Throne of Charlemagne (German: Karlsthron or Aachener Königsthron, "Royal Throne of Aachen") is a throne erected in the 790s by Charlemagne, as one of the fittings of his palatine chapel in Aachen (today's Aachen Cathedral) and placed in the Octagon of the church. 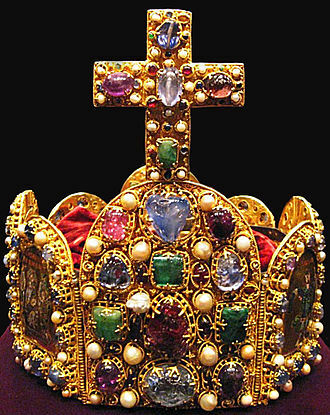 Until 1531, it served as the coronation throne of the Kings of Germany, being used at a total of thirty-one coronations. As a result, especially in the eleventh century, it was referred to as the totius regni archisolum ("Archstool of the Whole Realm"). Charlemagne himself was not crowned on this throne. The throne is very plain and simple and entirely free of elaboration. Six steps lead up to the seat, which is on a podium. The seat itself consists of four marble plates held together with bronze clamps. According to one modern theory, the marble and the steps were taken from the Church of the Holy Sepulchre in Jerusalem around 800. Another (unverified) interpretation claims they are the steps of Pilate's palace, which Jesus climbed up after he was whipped. There are fine, incised lines on one of the two side-plates, which served as the board for an ancient game of Nine Men's Morris. 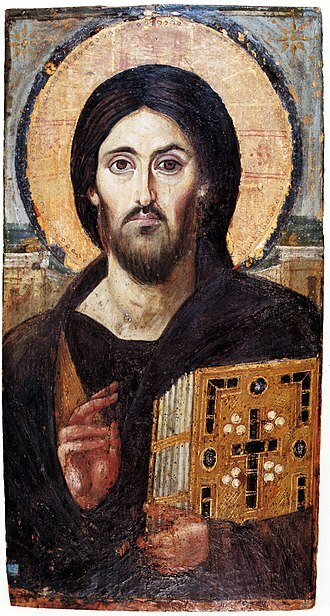 The back plate shows an early depiction of the crucifixion. Based on the surface treatment and the presence of etchings from several eras of pagan and Christian themes, it can be concluded that when the plates were installed here, they had belonged to at least two contexts already. The wooden interior structure, which is now in the Rheinisches Landesmuseum Bonn, supported a now-lost marble seating plate. Under that is a shelf, on which part of the Imperial Regalia were kept, particularly St. Stephen's Purse, according to modern research. Radiocarbon dating shows that this oakwood panel dates to c.800. The throne rests on four stone pillars. 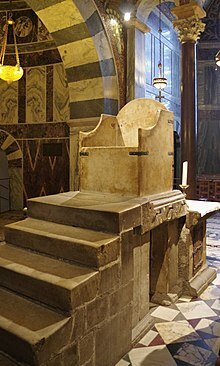 This made it possible for visitors in later times to crawl under the throne, simultaneously a demonstration of humility to the newly anointed ruler and an act of veneration for Jesus Christ, who was related to the throne by the depiction on the rear marble plaque (see under Symbolism). The polished appearance of the inner surfaces of the four pillars indicates that countless visitors must have observed this ritual over the centuries. The area is now roped off. The Throne has survived all renovations and demolitions in the chapel through the centuries. However, in the course of measures taken by the Cathedral chapter for the protection of the precious artefacts of the Cathedral and its treasury against the bombing and fire-fighting water in the Second World War, it was covered with tar paper and buried in sand. Today there are dirty yellow stains on the throne from the tar paper, which have not been removed for fear of damaging the ancient graffiti on the throne. In the passage underneath the throne and in the immediate vicinity, the original Carolingian flooring is preserved. The types of stone incorporated into this are from ancient ruins and were laid in the Italian representational style. 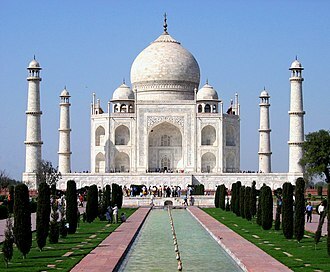 Specifically, the original flooring is of white marble, spinach-green porphyry and red porphyry from Egypt. The material might derive from the Palace of Theoderic in Ravenna, where many similar floor tiles have been found. 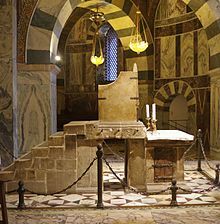 The throne, whose symbolic connections qualify it as an outstanding document of the Carolingian Renaissance, is found in the west gallery of the upper level (called the high church) of the Carolingian octagon. The placement of the throne is in a tight structural context within the Palatine chapel, whose proportional ratios create a symbolic image of the Heavenly Jerusalem, expressed in numbers. Probably following the biblical model of the throne of Solomon, which also placed the ruler in a separate sphere by means of a gallery, the throne was assigned the highest place and thereby unmistakably symbolised the Emperor's claim to temporal and spiritual rulership over the realm and his function as mediator between heaven and earth. In this respect the number of steps could be of symbolic relevance, since according to I Kings 10.19 Solomon's throne also had six steps and stood in a hall which was opposite a cube-shaped (i.e. six-faced) templeː the Holy of Holies (I Kings 7.6f.). Deliberate reference to the model of Solomon's throne was fitting for Charlemagne's claim to an unconditional universal rule as regent of a Christian world empire, ruling over a new chosen people – so to speak as a new Solomon. This meaning is strengthened by Charlemagne's documented admiration as King for the equally prestigious father and predecessor of Solomon, King David, whose role as God's governor on earth Charlemagne always sought. 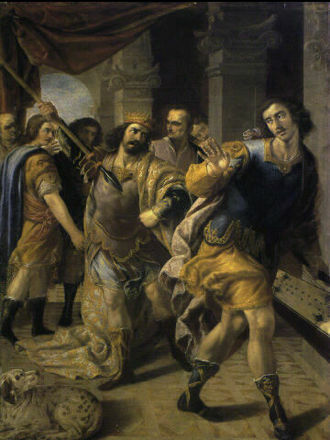 In 801 it is said, "We referred to Charles at court by the name 'David'." 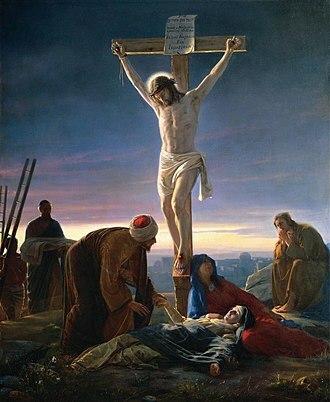 This message was underlined by the use of marble from the Holy Land, which as spolia from the Church of the Holy Sepulchre in Jerusalem is connected to Jesus Christ and therefore also to the idea of the Divine right of kings. Furthermore, according to Medieval thought, through contact with Christ the marble plaques would be turned into holy relics. The throne is in the western part of the chapel, which has an east-west orientation. The view of the enthroned ruler falls to the east in the expectation that the Last Judgement would come from this direction and along with it the end of all temporal rule. 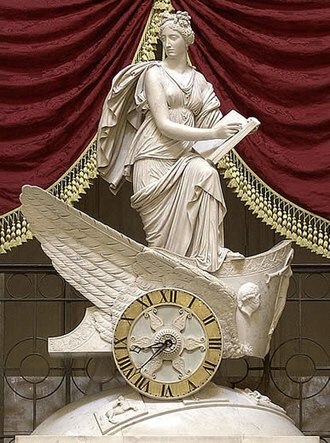 The four columns of the stone podium could represent the world ruled by the temporal sovereign with its four elements (fire, water, air, and earth), its four seasons, and its four cardinal directions. A reference to the four rivers of the Garden of Eden, which brought prosperity to the earth, could also be seen. Most likely an altar consecrated to the Archangel Michael stood in the room behind the throne. Accordingly, the crowned king taking his place on the royal throne could be assured that the Archangel literally "had his back". ^ Roth 2011, p. 38. ^ a b c d Roth 2011, p. 41. ^ Roth 2011, p. 39. ^ Roth 2011, p. 44. ^ a b Roth 2011, p. 45. ^ Roth 2011, pp. 42f. ^ Roth 2011, p. 40. ^ Roth 2011, p. 42. Leo Hugot: Der Königsthron im Aachener Dom. In: Koldewey-Gesellschaft. Bericht über die 29. 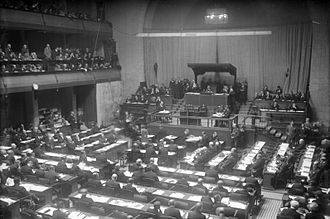 Tagung für Ausgrabungswissenschaft und Bauforschung vom 26. - 30. Mai 1976 in Köln. Köln, 1976, pp. 36–42. Francesco Gabrieli, André Guillou, Bryce Lyon, Jacques Henri Pirenne, Heiko Steuer: Mohammed und Karl der Große. Belser Verlag, 1993, ISBN 3-7630-2097-7. Sven Schütte: Der Aachener Thron. In: M. Kramp (Hrsg. ): Krönungen, Könige in Aachen - Geschichte und Mythos. Katalog 1999. Verlag Philipp von Zabern, ISBN 3-8053-2617-3, pp. 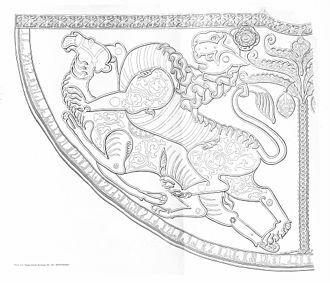 213–222. Katharina Corsepius: Der Aachener „Karlsthron“ zwischen Zeremoniell und Herrschermemoria. In: Marion Steinicke, Stefan Weinfurter (Hrsg. ): Investitur- und Krönungsrituale. Herrschaftseinsetzungen im kulturellen Vergleich. Böhlau, Köln 2005, ISBN 3-412-09604-0, pp. 359–375. 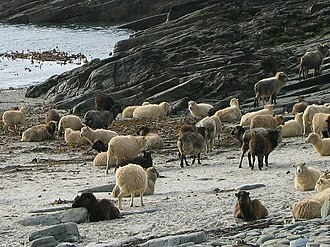 Hans Jürgen Roth: Ein Abbild des Himmels. Der Aachener Dom – Liturgie, Bibel, Kunst. Thouet, Aachen 2011, pp. 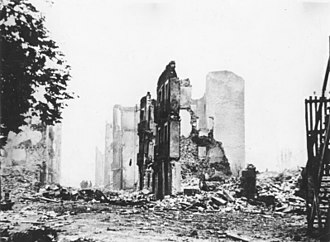 37–45. Wikimedia Commons has media related to Aachener Königsthron. A season is a division of the year marked by changes in weather and hours of daylight. Seasons result from the orbit of the Earth around the Sun. During May and July, the northern hemisphere is exposed to direct sunlight because the hemisphere faces the sun. The same is true of the hemisphere in November, December. It is the tilt of the Earth that causes the Sun to be higher in the sky during the months which increases the solar flux. However, due to lag, June and August are the hottest months in the northern hemisphere and December, January. In temperate and subpolar regions, four calendar-based seasons are recognized, summer, autumn or fall. Ecologists often use a model for temperate climate regions, vernal, serotinal, autumnal. Many tropical regions have two seasons, the rainy, wet, or monsoon season and the dry season, some have a third cool, mild, or harmattan season. Seasons often held special significance for agrarian societies, whose lives revolved around planting and harvest times, in some parts of the world, some other seasons capture the timing of important ecological events such as hurricane season, tornado season, and wildfire season. The most historically important of these are the three seasons—flood and low water—which were previously defined by the annual flooding of the Nile in Egypt. The seasons result from the Earths axis of rotation being tilted with respect to its orbital plane by an angle of approximately 23.5 degrees, regardless of the time of year, the northern and southern hemispheres always experience opposite seasons. This is because during summer or winter, one part of the planet is directly exposed to the rays of the Sun than the other. For approximately half of the year, the northern hemisphere tips toward the Sun, for the other half of the year, the same happens, but in the southern hemisphere instead of the northern, with the maximum around December 21. The two instants when the Sun is directly overhead at the Equator are the equinoxes. Also at that moment, both the North Pole and the South Pole of the Earth are just on the terminator, and hence day and night are equally divided between the northern and southern hemispheres. 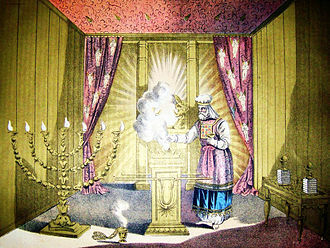 The Holy of Holies is a term in the Hebrew Bible which refers to the inner sanctuary of the Tabernacle where God dwelt. The area is defined by the four pillars, the pillars held up the veil of the covering under which the Ark of the Covenant was held off the floor by its two staves. 300 years later, it was the Temple in Jerusalem where the Ark of the Covenant was kept during the First Temple, the area could be entered only by the High Priest on Yom Kippur after sanctifying himself. The Ark is said to have contained the Ten Commandments, which were given by God to Moses on Mount Sinai and it is currently thought to be located under the Dome of the Rock. The construction Holy of Holies is a translation of a Hebrew idiom which is intended to express a superlative. Examples of similar constructions are servant of servants, Sabbath of sabbaths, God of gods, Vanity of vanities, Song of songs, king of kings, in the Authorized King James Version, Holy of Holies is always translated as Most Holy Place. This is in keeping with the intention of the Hebrew idiom to express the utmost degree of holiness, the King James Version of the Bible has been in existence for over four hundred years. For most of time, it was a primary reference in much of the English speaking world for information about Judaism. Thus, the name Most Holy Place was used to refer to the Holy of Holies in many English documents, the Bible reports that in the wilderness, on the day that the tabernacle was first raised up, the cloud of the Lord covered the tabernacle. 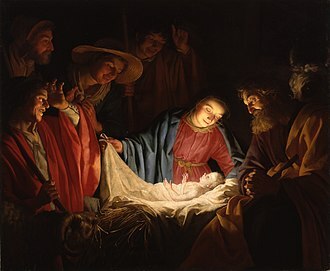 According to the Hebrew Bible, the Holy of Holies contained the Ark of the Covenant with representation of Cherubim, upon completion of the dedication of the Tabernacle, the Voice of God spoke to Moses from between the Cherubim. The Holy of Holies, the most sacred site in Judaism, is the sanctuary within the Tabernacle and Temple in Jerusalem when Solomons Temple. The Holy of Holies was located in the westernmost end of the Temple building, being a perfect cube,20 cubits by 20 cubits by 20 cubits. King of the Romans was the title used by the German king following his election by the princes from the time of Emperor Henry II onward. 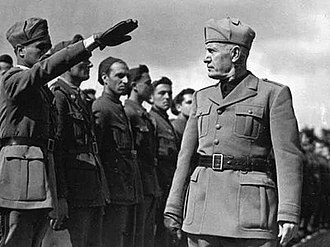 The title was predominantly a claim to become Holy Roman Emperor and was dependent upon coronation by the Pope, the title originally referred to any elected king who had not yet been granted the Imperial Regalia and title of Emperor at the hands of the Pope. Later it came to be used solely for the apparent to the Imperial throne between his election and his succession upon the death of the Emperor. The territory of East Francia was not referred to as the Kingdom of Germany or Regnum Teutonicum by contemporary sources until the 11th century, during this time, the kings claim to coronation was increasingly contested by the papacy culminating in the fierce Investiture Controversy. 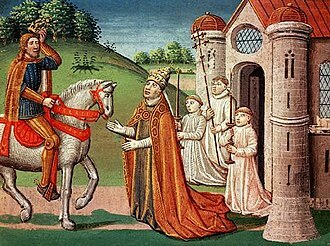 Pope Gregory VII insisted on using the derogatory term Teutonicorum Rex in order to imply that Henrys authority was merely local, Henry continued to regularly use the title Romanorum Rex until he finally was crowned Emperor by Antipope Clement III in 1084. Henrys successors imitated this practice, and were called Romanorum Rex before, candidates for the kingship were at first the heads of the Germanic stem duchies. As these units broke up, rulers of principalities and even non-Germanic rulers were considered for the position. The only requirements generally observed were that the candidate be a male, a Catholic Christian. 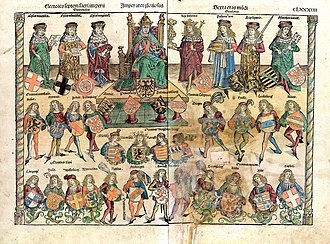 The kings were elected by several Imperial Estates, often in the city of Frankfurt after 1147. They were the Prince-Archbishops of Mainz and Cologne as well as the King of Bohemia, the Count Palatine of the Rhine, the Saxon duke, after the Investiture Controversy, Charles intended to strengthen the legal status of the Rex Romanorum beyond Papal approbation. Consequently, among his successors only Sigismund and Frederick III were still crowned Emperors in Rome, the Golden Bull remained effective as constitutional law until the Empires dissolution in 1806. After his election, the new king would be crowned as King of the Romans, though the ceremony was no more than a symbolic validation of the election result, it was solemnly celebrated. The details of Ottos coronation in 936 are described by the medieval chronicler Widukind of Corvey in his Res gestae saxonicae, the kings received the Imperial Crown from at least 1024, at the coronation of Conrad II. In 1198 the Hohenstaufen candidate Philip of Swabia was crowned Rex Romanorum at Mainz Cathedral, at some time after the ceremony, the king would, if possible, cross the Alps, to receive coronation in Pavia or Milan with the Iron Crown of Lombardy as King of Italy. 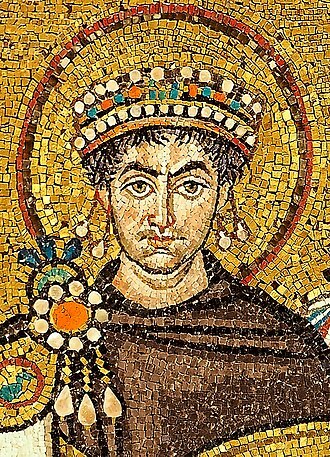 Finally, he would travel to Rome and be crowned Emperor by the Pope, in such cases, the king might retain the title King of the Romans for his entire reign. At this time Maximilian took the new title King of the Germans or King in Germany, the following were ruling Kings of the Romans, i. e. men who ruled the Kingdom without subordination to another King but who had not yet been crowned Emperor. The Holy Roman Empire was an elective monarchy, no person had a legal right to the succession simply because he was related to the current Emperor. Michael is an archangel in Judaism and Islam. 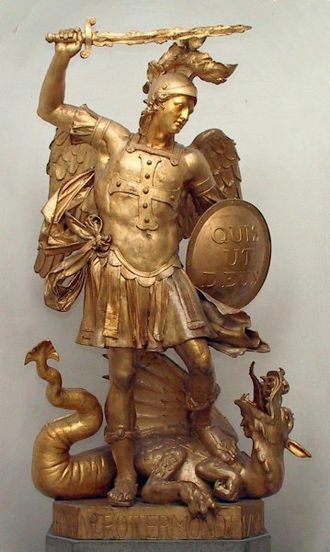 In Roman Catholic, Eastern Orthodox and Lutheran traditions, he is called Saint Michael the Archangel, in the Oriental Orthodox and Eastern Orthodox traditions, he is called Taxiarch Archangel Michael or simply Archangel Michael. Michael is mentioned three times in the Book of Daniel, in the New Testament Michael leads Gods armies against Satans forces in the Book of Revelation, where during the war in heaven he defeats Satan. 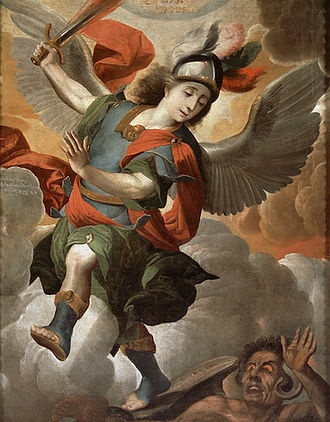 In the Epistle of Jude Michael is specifically referred to as the archangel Michael, by the 6th century, devotions to Archangel Michael were widespread both in the Eastern and Western Churches. 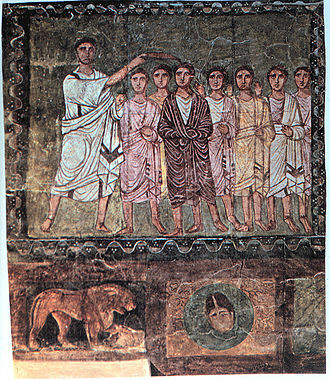 Over time, teachings on Michael began to vary among Christian denominations, Michael is mentioned three times in the Hebrew Scriptures, all in the book of Daniel. 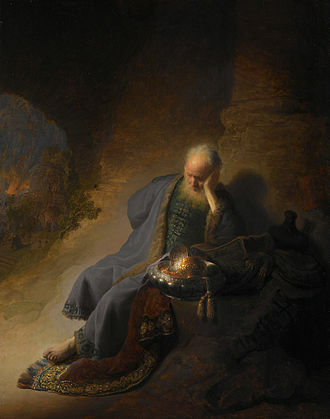 The prophet Daniel experiences a vision after having undergone a period of fasting, Daniel 10, 13-21 describes Daniels vision of an angel who identifies Michael as the protector of Israel. At Daniel 12,1, Daniel is informed that Michael will arise during the time of the end, the Book of Revelation describes a war in heaven in which Michael, being stronger, defeats Satan. 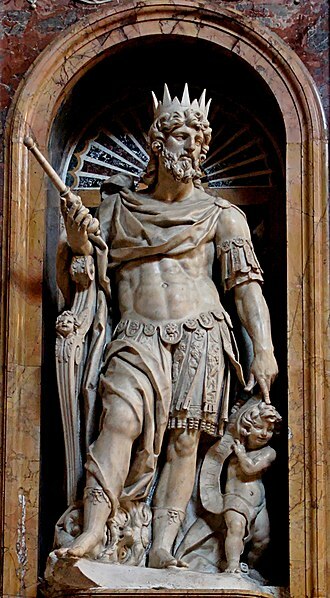 After the conflict, Satan is thrown to earth along with the fallen angels, in the Epistle of Jude 1,9, Michael is referred to as an archangel when he again confronts Satan. A reference to an archangel appears in the First Epistle to the Thessalonians 4,16 and this archangel who heralds the second coming of Christ is not named, but is often associated with Michael. Michael, is one of the two mentioned in the Quran, alongside Jibreel. In the Quran, Michael is mentioned only, in Sura 2,98, Whoever is an enemy to God, and His angels and His messengers. Then, God is an enemy to the disbelievers, some Muslims believe that the reference in Sura 11,69 is Michael, one of the three angels who visited Abraham. Michaels enmity with Samael dates from the time when the latter was thrown down from heaven, Samael took hold of the wings of Michael, whom he wished to bring down with him in his fall, but Michael was saved by God. The Garden of Eden or often Paradise is the biblical garden of God, described most notably in the Book of Genesis chapters 2 and 3, and in the Book of Ezekiel. 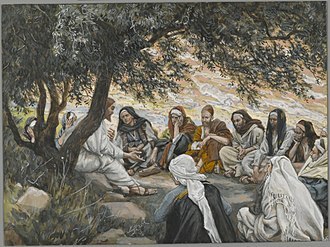 The garden of God, not called Eden, is mentioned in Genesis 13, the Book of Zechariah and the Book of Psalms refer to trees and water in relation to the temple without explicitly mentioning Eden. Traditionally, the derivation of the name Eden was from the Akkadian edinnu. Eden is now believed to be closely related to an Aramaic root word meaning fruitful. 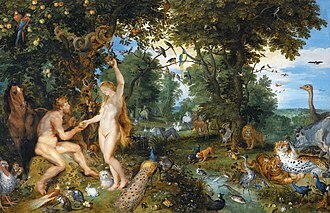 The Hebrew term is translated pleasure in Sarahs secret saying in Genesis 18,12, in the Hebrew Bible and Eve are depicted as walking around the Garden of Eden naked due to their innocence. Eden and its rivers may signify the real Jerusalem, the Temple of Solomon and it may represent the divine garden on Zion, and the mountain of God, which was Jerusalem. The imagery of the Garden, with its serpent and cherubs, has compared to the images of the Solomonic Temple with its copper serpent. The second part of the Genesis creation narrative, opens with Adonai Elohim creating the first man, the man was free to eat from any tree in the garden except the tree of the knowledge of good and evil. Last of all, the God made a woman from a rib of the man to be a companion the man, cherubim were placed east of the garden, and a flaming sword which turned every way, to keep him away from the tree of life. Genesis lists four rivers in association with the garden of Eden, Gihon, the Tigris, and it refers to the land of Cush - translated/interpreted as Ethiopia, but thought by some to equate to Cossaea, a Greek name for the land of the Kassites. These lands lie north of Elam, immediately to the east of ancient Babylon, in Antiquities of the Jews, the first-century Jewish historian Josephus identifies the Pishon as what the Greeks called Ganges and the Geon as the Nile. According to Terje Stordalen, the Eden in Ezekiel appears to be located in Lebanon. According to the Bible, the location of Eden is described in the Book of Genesis, chapter 2, verse 10-14, A river flowed from Eden to water the garden, and from there it divided to make four streams. In religion, a relic usually consists of the physical remains of a saint or the personal effects of the saint or venerated person preserved for purposes of veneration as a tangible memorial. Relics are an important aspect of forms of Buddhism, Islam, Shamanism. Relic derives from the Latin reliquiae, meaning remains, and a form of the Latin verb relinquere, to leave behind, a reliquary is a shrine that houses one or more religious relics. In ancient Greece, a city or sanctuary might claim to possess, without necessarily displaying, the sanctuary of the Leucippides at Sparta claimed to display the egg of Leda. The bones were not regarded as holding a power derived from the hero, with some exceptions. Miracles and healing were not regularly attributed to them, their presence was meant to serve a tutelary function, the bones of Orestes and Theseus were supposed to have been stolen or removed from their original resting place and reburied. Plutarch says that the Athenians were likewise instructed by the oracle to locate, the body of the legendary Eurystheus was supposed to protect Athens from enemy attack, and in Thebes, that of the prophet Amphiaraus, whose cult was oracular and healing. As with the relics of Theseus, the bones are sometimes described in sources as gigantic. On the basis of their size, it has been conjectured that such bones were those of prehistoric creatures. The head of the poet-prophet Orpheus was supposed to have transported to Lesbos. 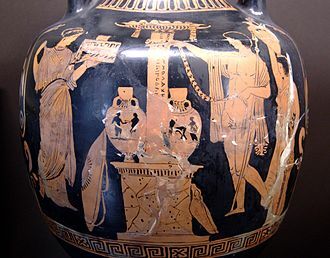 The 2nd-century geographer Pausanias reported that the bones of Orpheus were kept in a stone vase displayed on a pillar near Dion, his place of death and these too were regarded as having oracular power, which might be accessed through dreaming in a ritual of incubation. The accidental exposure of the bones brought a disaster upon the town of Libretha, according to the Chronicon Paschale, the bones of the Persian Zoroaster were venerated, but the tradition of Zoroastrianism and its scriptures offer no support of this. In Hinduism, relics are less common than in other religions since the remains of most saints are cremated. 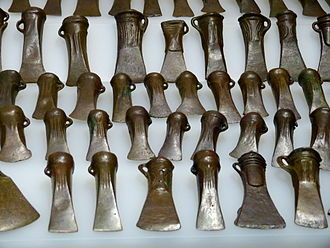 The veneration of corporal relics may have originated with the movement or the appearance of Buddhism. Ravenna is the capital city of the Province of Ravenna, in the Emilia-Romagna region of Northern Italy. It was the city of the Western Roman Empire from 402 until that empire collapsed in 476. It served as the capital of the Kingdom of the Ostrogoths until it was re-conquered in 540 by the Eastern Roman Empire. Afterwards, the city formed the centre of the Byzantine Exarchate of Ravenna until the invasion of the Lombards in 751, although an inland city, Ravenna is connected to the Adriatic Sea by the Candiano Canal. It is known for its well-preserved late Roman and Byzantine architecture, the origin of the name Ravenna is unclear, although it is believed the name is Etruscan. Some have speculated that ravenna is related to Rasenna, the term that the Etruscans used for themselves, the origins of Ravenna are uncertain. Ravenna consisted of houses built on piles on a series of islands in a marshy lagoon – a situation similar to Venice several centuries later. The Romans ignored it during their conquest of the Po River Delta, in 49 BC, it was the location where Julius Caesar gathered his forces before crossing the Rubicon. Later, after his battle against Mark Antony in 31 BC and this harbor, protected at first by its own walls, was an important station of the Roman Imperial Fleet. Nowadays the city is landlocked, but Ravenna remained an important seaport on the Adriatic until the early Middle Ages, during the German campaigns, widow of Arminius, and Marbod, King of the Marcomanni, were confined at Ravenna. Ravenna greatly prospered under Roman rule, Emperor Trajan built a 70 km long aqueduct at the beginning of the 2nd century. During the Marcomannic Wars, Germanic settlers in Ravenna revolted and managed to seize possession of the city, for this reason, Marcus Aurelius decided not only against bringing more barbarians into Italy, but even banished those who had previously been brought there. In AD402, Emperor Honorius transferred the capital of the Western Roman Empire from Milan to Ravenna, at that time it was home to 50,000 people. 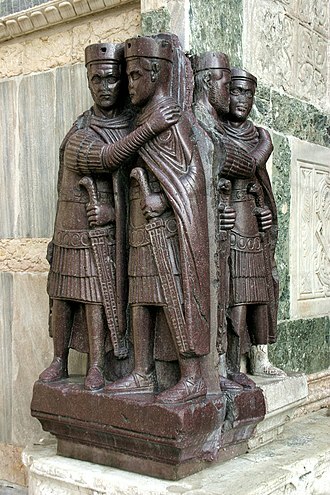 However, in 409, King Alaric I of the Visigoths simply bypassed Ravenna, after many vicissitudes, Galla Placidia returned to Ravenna with her son, Emperor Valentinian III and the support of her nephew Theodosius II. 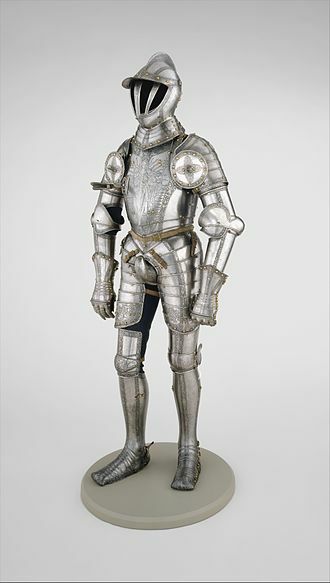 Armor of Ferdinand I, Holy Roman Emperor, created when he was still King of the Romans in 1549. 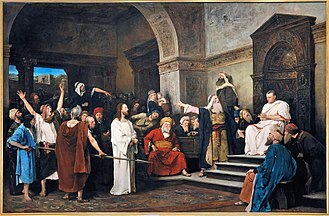 Ecce Homo ("Behold the Man"), Antonio Ciseri's depiction of Pilate presenting a scourged Jesus to the people of Jerusalem. 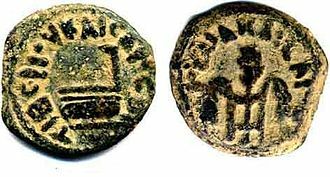 Bronze prutah minted by Pontius Pilate Reverse: Greek letters ΤΙΒΕΡΙΟΥ ΚΑΙΣΑΡΟΣ (of Tiberius Caesar) and date LIS (year 16 = AD 29/30) surrounding simpulum (libation ladle). Obverse: Greek letters ΙΟΥΛΙΑ ΚΑΙΣΑΡΟΣ (Julia, Caesar's (the Emperor's) (mother – Livia / Julia Augusta), three bound heads of barley, the outer two heads drooping. Jewish cemetery on the Mount of Olives, Jerusalem. The holiness of Israel attracted Jews to be buried in its holy soil. The sage Rabbi Anan said "To be buried in Israel is like being buried under the altar." The Church of the Holy Sepulchre is one of the most important pilgrimage sites in Christianity, as it is the purported site of Christ's resurrection. Augustus as Jove, holding scepter and orb (first half of 1st century AD). The Imperial cult of ancient Rome identified Roman emperors and some members of their families with the divinely sanctioned authority (auctoritas) of the Roman State. The official offer of cultus to a living emperor acknowledged his office and rule as divinely approved and constitutional: his Principate should therefore demonstrate pious respect for traditional Republican deities and mores. Many of the rites, practices and status distinctions that characterized the cult to emperors were perpetuated in the theology and politics of the Christianized Empire. Louis XIV of France depicted as the Sun King. Throne of the Ecumenical Patriarch of Constantinople in the Phanar, Istanbul. On the dais the Gospel is enthroned on a curule chair, in front of it, lower down is the patriarch's throne. John of Patmos watches the descent of New Jerusalem from God in a 14th century tapestry.